The Trump administration may inadvertently be provoking North Korea into conducting a live-fire test of a nuclear-tipped ballistic missile. While it is clear that North Korea has both ballistic missile technology and a working hydrogen bomb, the U.S. State Department recently suggested in a tweet that Pyongyang does not have such capabilities. While many prominent international relations experts and former U.S. government officials immediately derided the State Department’s tweet, similar statements in previous decades prompted China to conduct a risky live-five nuclear missile test on Oct. 27, 1966. Pyongyang — feeling the pressure to prove its capabilities — might do the same. “#DPRK will not obtain a nuclear capability. Whether through diplomacy or force is up to the regime @StateDept,” U.S. State Department spokeswoman Heather Nauert tweeted on Oct. 1 to much derision. Prominent detractors immediately noted that Nauert seems to have missed the fact that North Korea already possesses nuclear capability. Indeed, some arms control experts are convinced that such statements are actually provoking the North Koreans, especially when taken together with Pres. Donald Trump’s own bellicose statements. Trump recently sent out a tweet on Oct. 1 that effectively undercut Secretary of State Rex Tillerson’s efforts at diplomacy with Pyongyang. Such statements only embolden North Korea to attempt a so-called Juche Bird live-fire nuclear missile test. “Oh, yes,” Jeffrey Lewis, Director of the East Asia Nonproliferation Program at the James Martin Center for Nonproliferation Studies at the Middlebury Institute of International Studies at Monterey, told The National Interest. Indeed, in previous weeks, as tensions have ratcheted up, North Korean officials have threatened to conduct such a live-fire nuclear test. “It could be the most powerful detonation of an H-bomb in the Pacific,” North Korean foreign minister Ri Yong-ho told reporters according to South Korea’s Yonhap news agency on Sept. 21. Joshua H. Pollack, editor of the The Nonproliferation Review and a senior research associate at the James Martin Center for Nonproliferation Studies, noted however that Pyongyang might not be playing close attention to the State Department. They are, however, paying attention to Trump’s own statements and tweets — which often contradict those of his underlings. “I don’t think they’re attuned to State in North Korea. They’re watching what Trump says and does!” Pollack told The National Interest. 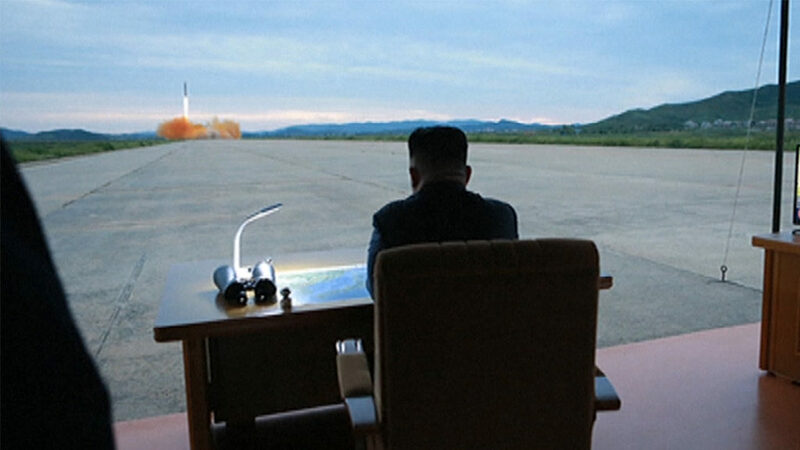 Thus far, there are no indications that North Korea will conduct a live-fire nuclear test in the Pacific — such an act would be extraordinarily provocative. But then there might not be any indication of such a test until the weapon explodes in a nuclear fireball somewhere over the ocean. “I am not sure what indications one would expect — it will probably look like any other missile test until it explodes,” Lewis said. If the North Koreans do test such a live nuclear-tipped ballistic missile, it will likely be an intermediate-range weapon, but it is possible that Pyongyang would test an intercontinental range weapon just so that Washington understands that the Kim regime can reach out and touch the American homeland. 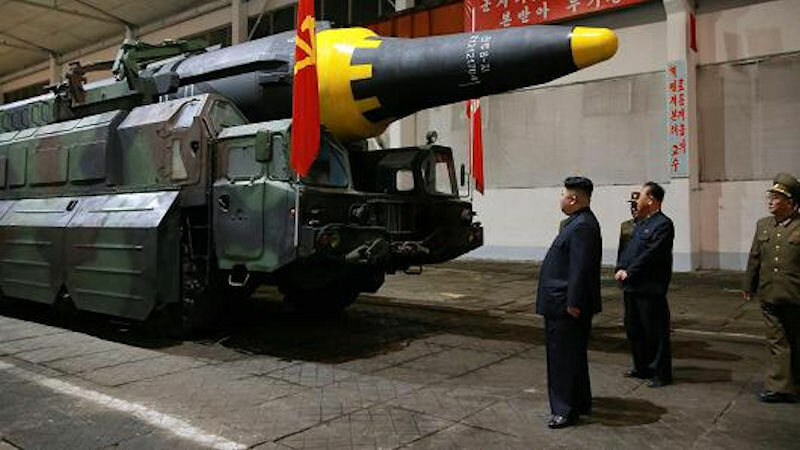 “Probably a Hwasong-12, but I wouldn’t rule out a -14,” Lewis said. There is no concrete evidence that North Korea will really attempt a live-fire weapons test, but the United States, Soviet Union and the People’s Republic of China have all conduct such end-to-end nuclear tests to demonstrate that their strategic deterrent works. Given that North Korea hopes to deter the United States from attempting a regime change, there is a certain logic to conducting a live-fire nuclear test. “All we have are — one — the fact that the U.S., USSR and China each concluded that such a test was necessary and — two — that the North Koreans have threatened to follow suit,” Lewis said. This article originally appeared at The National Interest.